I arrive in this small province-town on a sunny Sunday when not a single living soul strolls around. 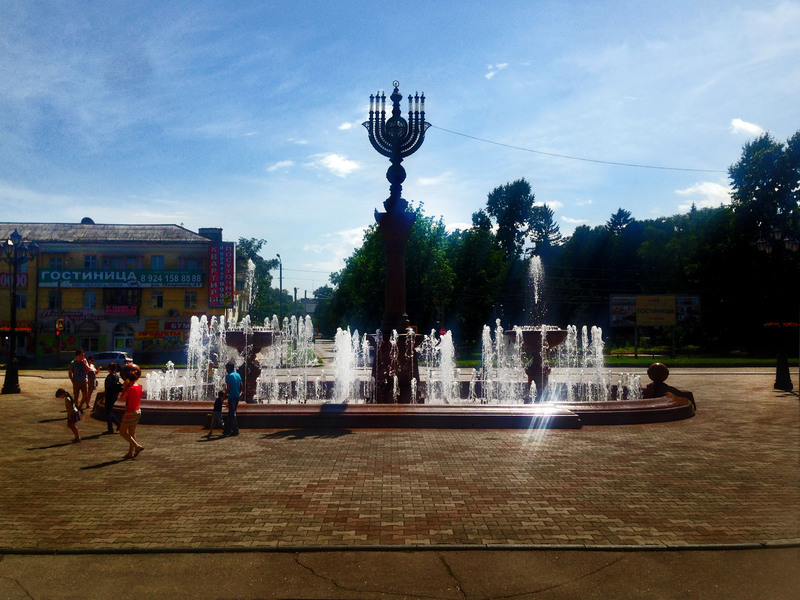 Birobidzhan is the capital of the Jewish Autonomous Region, created from nothing in 1934 because of Stalin’s behest. In the USSR, Judaism was reduced to a mere line in the Soviet internal passport, in point number 5, introduced in 1932, where any and every citizen was required to declare their ethnicity. Although the idea of a Russian Sion in a country famous for its pogroms may sound weird, the advent of the Soviet Union was actually a blessing for the Russian Jewish community. In the 1920s, indeed, in line with the communist principles of equality and with the idea of a multi-ethnic empire that the USSR had of itself, anti-Semitism became a state crime. The residence area, the only place in the western fringes of the Russian Empire where Jews were allowed to live, was dismantled and anti-discrimination policies were enacted. The founding of a Jewish capital of the USSR represented an acceptable solution based on the principle of self-determination in force in Bolshevik Russia. The project was not “a good deed” towards an unloved ethnicity, but it was part of the wider population outline of Siberia; it was indeed the Soviet experiment which provided the transfer of thousands of people in the Russian Far East and the creation of a network of cities in order to develop these inhospitable lands, so far away from the capital city. As a matter of fact, anyone would think of living in this marshy plain, populated by annoying gnats, which in winter reaches -30 °C, if it were not enticed by the Soviet high-sounding promises. Many of the transfers to Siberia in those years were mostly forced, but as far as the Jews were concerned, there was no need to insist: they moved there of their own volition. 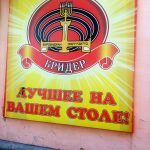 Presented as the Jewish Autonomous Region, the “new promised land” immediately attracted many Ukrainian and Belarusian Jews who, enhanced and boosted by the enthusiasm of starting a new life, came down here. Many flocked here, about 30,000, in this small Siberian Sion built on the Bira and Bidzhan rivers (tributaries of the Amur River from which the town takes its name) and founded schools and Jewish institutions. They brought their language with them, Yiddish, their religion and culture, which with small Soviet reinterpretations was tolerated, as well as Hebrew characters, which still stand out on some shop windows. Good times, however, did not last long because in fickle Stalinist political Soviet Russia, anti-Semitism had never really been eradicated. At the end of the Thirties Stalin and Zhdanov, one of the major contributors in setting the Soviet cultural policy, a campaign against “rootless cosmopolitanism” began; a propaganda designed to flush the hypothetical internal enemies out. All those involved in the pro-Western climate were attacked and the Jews, accused of servility to the West and alien to Russian culture, were the first to pay the drastic consequences of this offensive ideological-cultural matrix. Consequently, in order to escape the erratic antipathy towards the community, many left, mostly to Palestine. The city soon ended up depopulated of Jews. 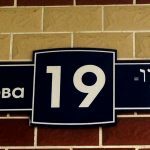 Today, out of a population of about 176,000 inhabitants in the region only 1,628 are of Jewish ethnicity and of the old Birobidzhan, only a faded memory that surfaces in a few sporadic clues remains: the menorah in front of the train station, the street names written in Hebrew, a very modern synagogue and some kosher shops. 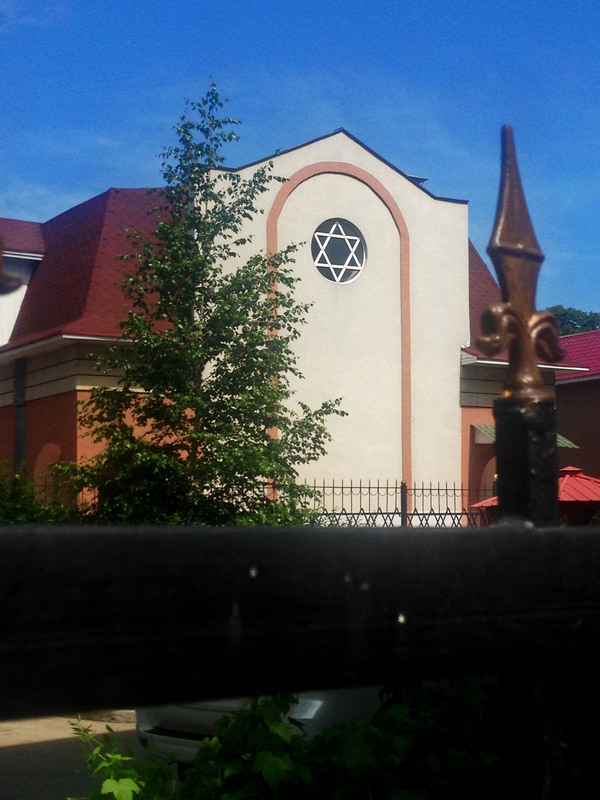 Walking in this strange Far East Russian city, there’s no more Jewish culture left.